Get serious low-end projection from a portable 1x12 cab. 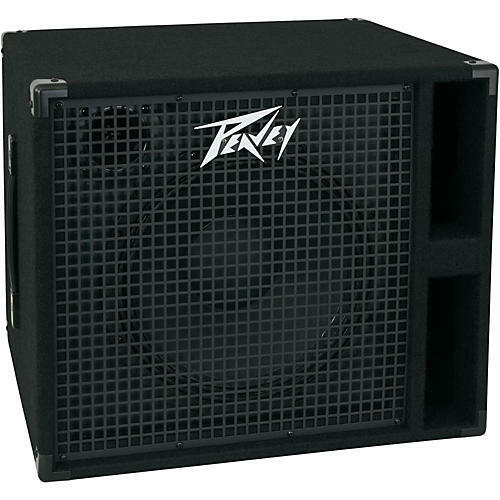 The Peavey Headliner series has been redesigned from the ground up for the serious bass player on a budget. Voiced for strong bass with a smooth harmonic tone, the versatility and performance of the Headliner 112 encourages use with any fine bass amp head. The Headliner 112 is constructed using internal bracing, and is covered with road-worthy black carpet. Steel corners protect the cabinet from the rigors of the road. The cabinet includes a black powdercoat finished 16 gauge perforated metal grille. The 12-in. Eminence bass woofer provides a classic bass tone, with good power handling and punch. The vented cabinet provides powerful bass, with every note propelled forward into the mix. Inputs include one 1/4-in. input phone jack, and one twist-lock connector for maximum flexibility.